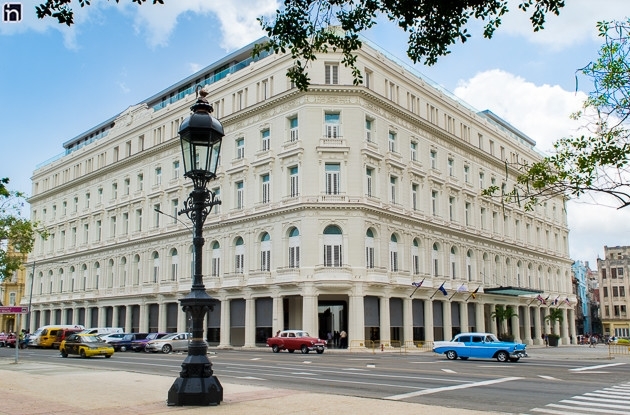 The Gran Hotel Manzana Kempinski La Habana has been described as the urban centre of gravity that pulls together Old Havana. 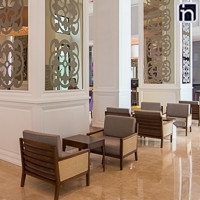 Located on a block unto itself, the Gran Hotel Manzana connects the four main streets of Neptuno, San Rafael, Zulueta and Montserrate and facing the mouth of Obispo. 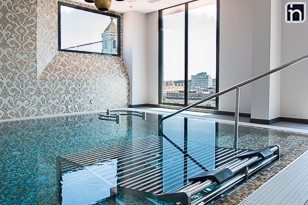 The building proves to be the gateway to the touristic and commercial heart of the city. The Gran Hotel Kempinski looks straight out onto the infamous cocktail bar and Hemingway hangout, the Floridita whilst being flanked by the beautiful art deco Bacardi building and the Museo de Bellas Artes. The construction of the Manzana de Gómez (this is the original name of the building) was started in 1890 and taken over by its namesake Andres Gómez Mena in 1894. The building named The Apple of Gómez, has since become the Apple of Havana’s eye. Finally completed in 1910 Manzana de Gómez initially consisted of one solitary floor, stretching the length of the square. By 1918 the building had expanded to its current capacity, occupying a further four floors. The Manzana de Gómez was initially established as Cuba’s first indoor shopping centre, or ‘mall’. Forming part of the pre- Revolutionary tourist experience of Cuba, US visitors centred many trips around the shopping experience of the Manzana de Gómez, the splendour of which could have been compared to the Galerie la Fayette in Paris. Unfortunately the many passing turbulent years took their toll upon the facade and interior of the building. Post- Revolution the building maintained its commercial uses whilst also accommodating many government offices. 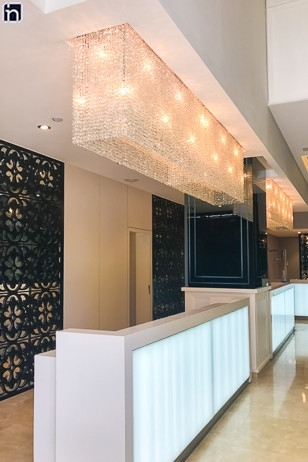 The deterioration of the building resulted in the closing of the space and eventual total refurbishment led by the luxury Swiss hotel group Kempinski. 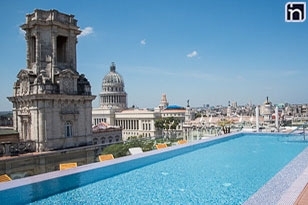 Kempinski La Habana’s planned opening was set for 2016, however the progress has been slightly delayed and opening has been now confirmed for late spiring 2017. The Kempinski group whilst maintaining the essence, rustic beauty and original detail of the building, are bringing the world class structure up to luxury hotel standards. 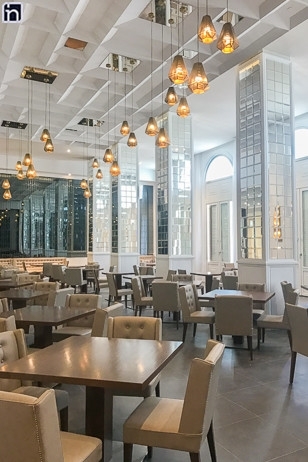 Kempinski have been working in tandem with Gaviota S.A. and the country state-operated Habagüanex in this three year old restoration project. Once completed the Hotel will consist of 246 elegantly decorated rooms, all with internet service, two high class restaurants, a luxurious pool and terrace overlooking the spectacular Havana skyline, a fully equipped gym and 5 star amenities providing clients with the utmost comfort. 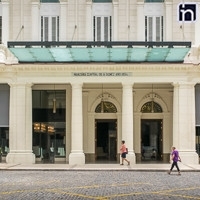 Gran Hotel Manzana Kempinski La Habana opened in June 2017. Deluxe rooms are very similar to the Patio Rooms but they offer a view on Old Havana. They also measure 38m2; their maximum occupancy is 2 adults + 1 child and some of them have connecting rooms. Patio Rooms at Gran Hotel Manzana Kempisnski La Habana feature either a king size or two twin size beds. 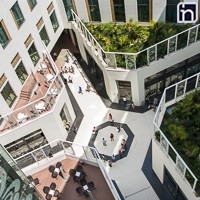 They measure 38 m2; their maximum occupancy is 2 adults + 1 child and some of them have connecting rooms. Gran Deluxe Rooms at Manzana Hotel are more spacious than the Deluxe and Patio Rooms (55 m2) and have a larger entrance area. They feature a king size or two twin size beds and 2 large French windows/doors. Their maximum capacity is 3 adults and some of them have connecting doors. All Junior Suite Hemingway feature a king size bed. They have a separate sitting area with a large sofa and 2 large French windows / doors overlooking Old Havana or the internal patio. They measure 50 m2; and their maximum capacity is 3 adults. There is no option for connecting rooms. Constante Junior Suites overlook Old Havana and the famous Floridita Bar, where Hemingway used to hang out. Rooms are very spacious (68 m2) and they offer a king size bed, a separate sitting area, 3 large French doors and walk in closet. The maximum capacity is 3 adults and they are connecting to a Gran Deluxe Twin Room. Family Suites at Manzana Hotel have views on the internal patio. They feature a large living room with dining table and a separate bedroom with king size bed. The bathroom includes a shower cabin with rain shower, a bathtub and 2 sinks, some have a bidet and a separate guest toilet. Family Suites measure 72 m2 and their maximum capacity is 3 adults or 2 adults + 2 Children. There is no option for connecting rooms. Suite Mezzanine are built on 2 levels (64 m2), with a large sitting area downstairs, featuring guest bathroom with toilet and rain shower, and the bedroom upstairs with one king size bed and larger bathroom with with shower cabin with rain shower, separate bathtub and one sink. These suites offer a view on Old Havana. The maximum capacity is 2 adults. There is no option for connecting rooms. Suite Esquina at Gran Hotel Manzana have 3 large French doors / windows with views on Old Havana. They have a large living room, with dining table and guest bathroom, and a separate bedroom with king size bed, walk in closet and a larger bathroom, featuring a shower cabin with rain shower, Jacuzzi bathtub, 2 sinks and a bidet. 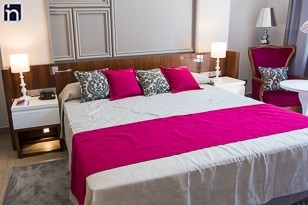 Suite Esquina measure 100 m2 and their maximum capacity is 3 adults or 2 adults + 2 Children and they are connected to a Gran Deluxe Twin Room. Suite Presidential Lorca are the most spacious (150 m2) and luxurious rooms at Gran Hotel Kempiski La Habana. The large French doors offer a view on the Parque Central and the Museo Nacional. Suite Presidential have a very large living room, with dining table, guest toilet and bathroom and a small kitchenette. The bedroom offers a king size bed, a large walk in closet and a bathroom with Jacuzzi bathtub, separate shower cabin with rain shower, 2 sinks and a bidet. 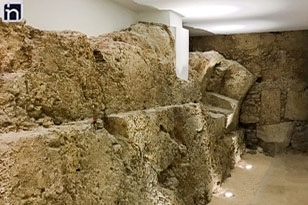 The maximum capacity is 3 adults or 2 adults + 2 children and there is an option for connecting rooms. Suite Presidential Lorca is only available on request.